Apple's Beats brand will soon release an entirely wire-free version of its Powerbeats Wireless Earphones designed for workouts, reports CNET. The updated earphones will be similar to the AirPods, in that there will be no wire between them. Apple won't be cannibalizing its own AirPods sales because Powerbeats are designed for working out, running, and other athletic activities that aren't really meant for AirPods. The newly updated AirPods that Apple launched this week feature an updated H1 chip that brings faster switching between devices, quicker connections when making phone calls, "Hey Siri" support and longer talk time, and this chip could also be included in updated Powerbeats. The W1 chip that Apple used in the previous version of the AirPods was also incorporated into its Beats headphones. CNET says that the information comes from a source that has provided reliable details on Apple's plans in the past, with Apple's Beats brand set to release the new earphones in April. Compared to the AirPods, the upcoming Powerbeats could offer better bass and water resistance, as well as the ability to better stay in the ears during rigorous activity. There's no word on what the new Powerbeats will cost. Apple priced the new AirPods with Wireless Charging Case at $199, and current Powerbeats also cost $199, so the price could potentially go up. 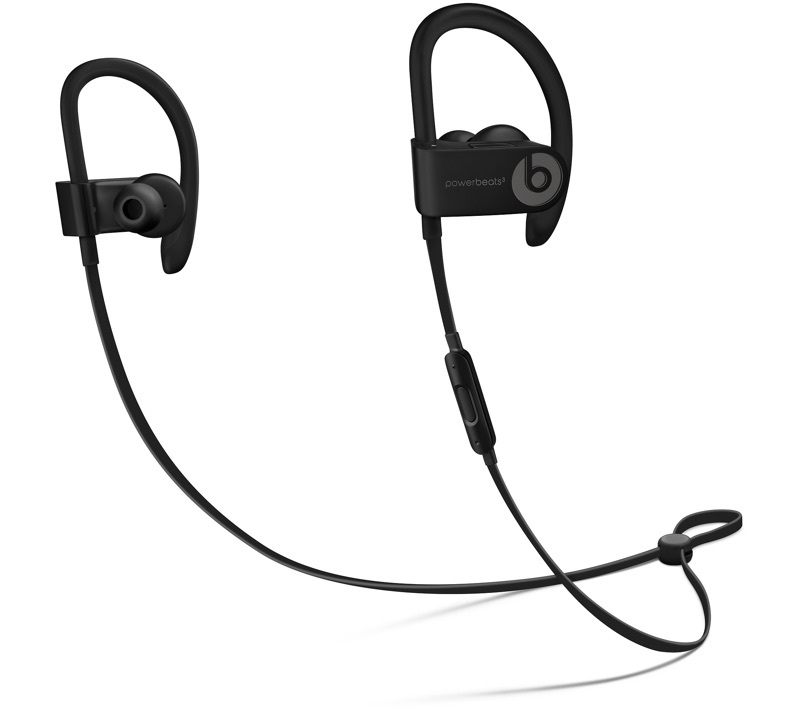 It's not clear if there are other headphone updates in the works that would be announced at the same time as the wire-free Powerbeats, but Apple's Beats brand has not introduced a significant update since summer 2018 when the Beats Studio3 Wireless Headphones were updated with a W1 chip. AirPods stay absolutely fine in my ears on my runs. Have used them since day one and I have yet to have them fall off my ears. Not to mention they are so light that I don't even feel them being in my ears if it wasn't for the music. I've been running with AirPods since they were released and have not had a single issue with them falling off or moving. What's stopping apple from offering Airpods in this form factor as an alternative and call them Active Airpods or something similar. Beats branding seem redundant especially since Apple branding is much more recognizable and perceived to be more premium. Beats is ecosystem agnostic thus purchased by users of many different brands: Apple, Android, MS, etc. That's why Apple hasn't messed with Beats. It's a worldwide recognized brand. Beats sell because of Beats, not because it's owned by Apple. I'd bet there's a significant portion of the populace that has no idea the two companies are associated. It would make little sense for Apple to interfere with the Beats platform. Augment and improve it? Yes. But change it? Naw man. Same, I ran for a couple years with mine so far and have not once fallen out. Just because you can't wear earphones without jamming them in your ear doesn't mean AirPods don't work for running or the gym. Actually, that’s exactly what it means. Apple should release some one size fits all shoes for people to run in. See how stupid of an idea that is? Mine work fine working out and running. No need to purchase anything else.